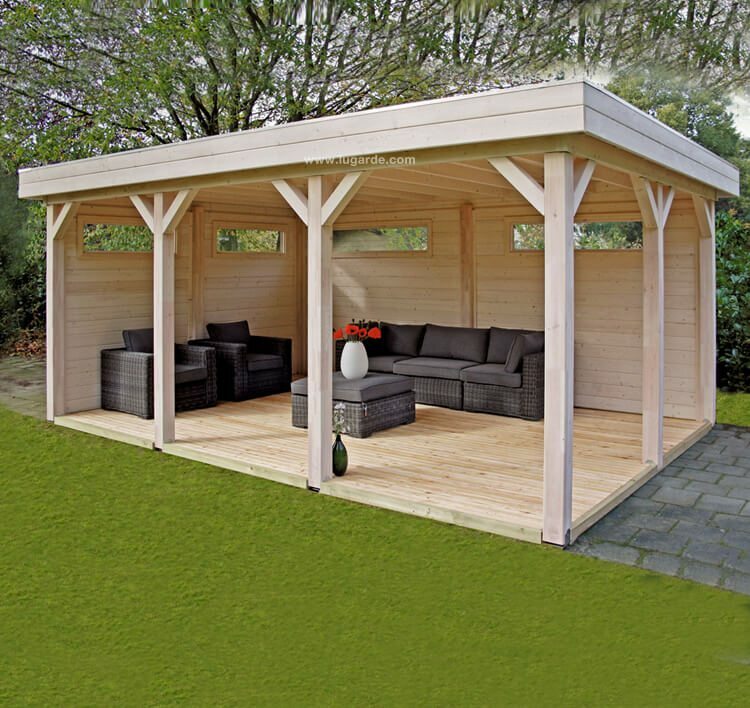 Classic, slimline yet impressive, that’s this low roof (≤ 250 high) gazebo with a flat roof. The two open and two closed walls make this gazebo extremely versatile. This gazebo has a standard wall thickness of 44 mm.